…what may be achieved by having a thorough grasp of the underlying principles for successful farming, which I have laid down in this book, and which may be summarized in three words: Work, Muck and Thought. Muck. We’ve got the muck. Decades of it piled up in the cattle barn. Layer after layer of petrified manure. Chipping it out with a fork, watching it crumble through the fork. 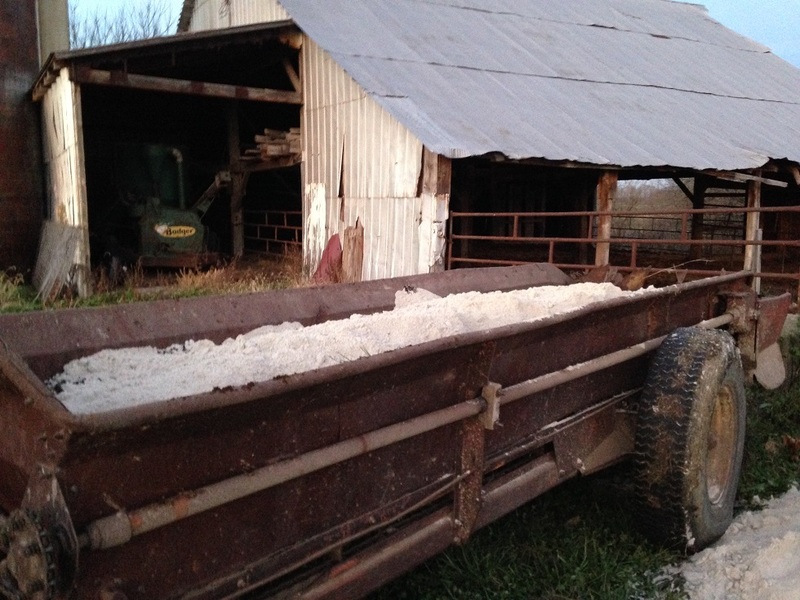 An hour to the load, cover it with lime and put it on the field. There it can be put to better use. This entry was posted in Composting, Manure. Bookmark the permalink. ← Pasture is Always Better? Always?